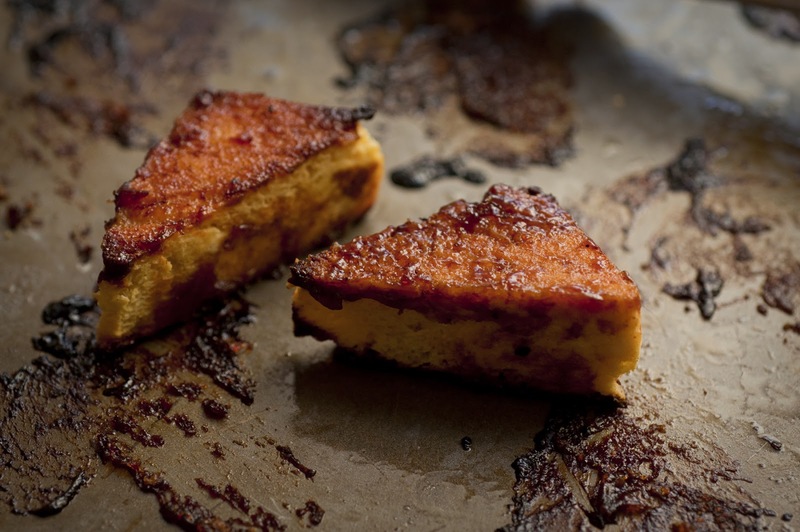 Valentine's Day is coming up and I've received a couple requests to post a recipe for barbecue tofu. BBQ tofu sounds complex or even fancy but it is actually super simple. I promise. Impress the vegan/vegetarian love of your life with this tasty dish. 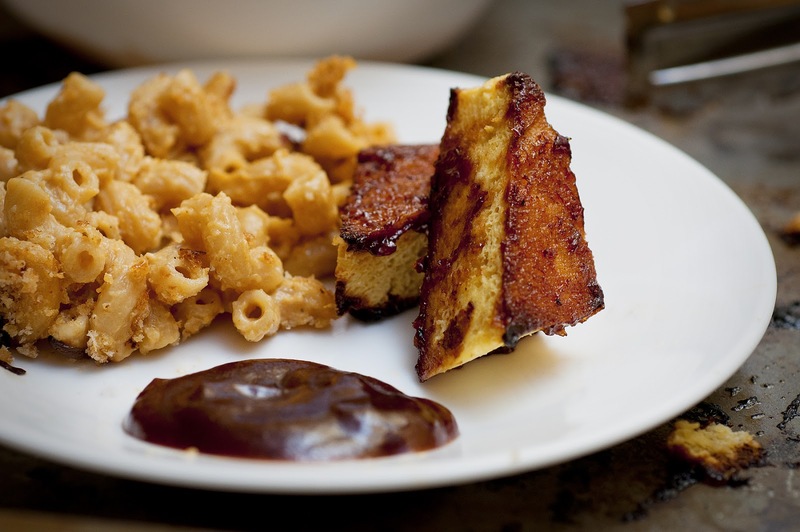 I've even served BBQ tofu and this vegan mac and cheese to omnivores with rave reviews. 2. Take the unopened tub of tofu and stick it in your freezer for a day (or longer). Freezing the tofu will give it a chewier "meaty" texture. In my opinion, freezing helps the tofu absorb more of the sauce. 3. Thaw the tofu by putting the unopened pack in your refrigerator. It takes about 24hrs to thaw completely. If you need it to thaw faster, you can set the package out on the counter. 4. Press tofu. This is very easy. Take 2 plates, line the bottom plate with paper towels, put tofu on top of paper towels, then put the second plate on top of the tofu. Place a heavy book on top of the top plate. Pressing removes some of the moisture from the tofu which allows it to soak up more sauce. I usually press the tofu for 30minutes while I'm prepping other dishes. 5. Slice the tofu into whatever shape your heart desires. I like triangles that are about 2in long and 1/2in thick. 7. Place the tofu on a well oiled cookie sheet and brush with your favorite BBQ sauce. 9. Remove tofu from oven, flip each piece, and brush with BBQ sauce so that both sides are coated in sauce. Finished Product. The tofu will have a lightly crispy layer where the BBQ sauce has carmelized and a chewy texture that my omni friends compare to chicken nuggets. Copyright Courtney Tolley 2012. Simple theme. Theme images by Jason Morrow. Powered by Blogger.